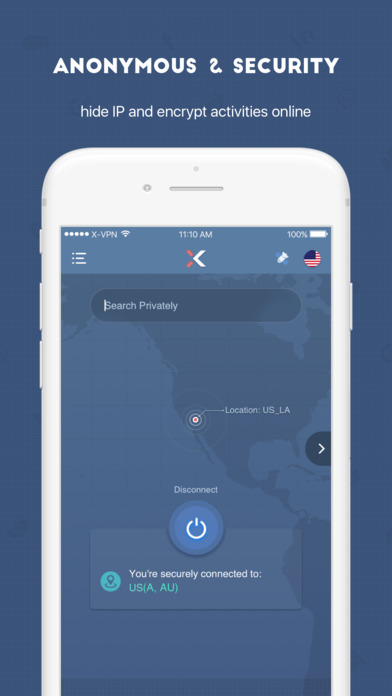 X-VPN is the most reliable security and privacy integrated platform with powerful unblocking and encryption. 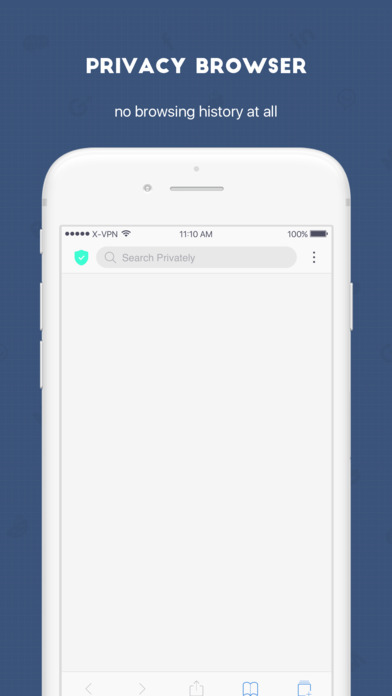 With X-VPN,you can enjoy free VPN proxy,Anti-tracking Browser and Private Photo service at the same time. Hide your IP address, identity, and location online, preventing anyone from tracking your online information. Encrypt all your activities online, protecting yourself from hackers and snoopers from stealing your usernames, passwords, credit card information on public WiFi networks. We will destroy all your browsing history, and prevent the third-party logging any of your browsing activities. 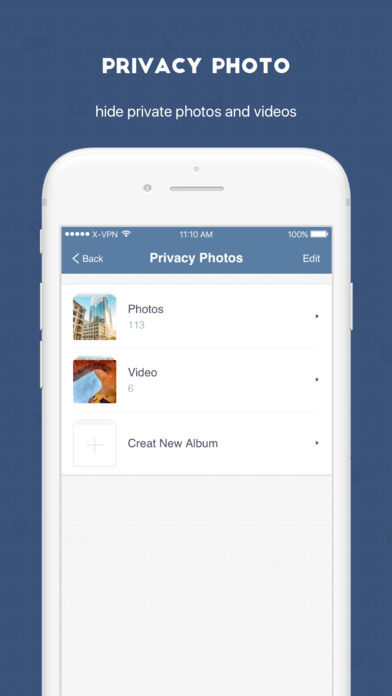 A private vault for you to hide and encrypt photos & videos. X-VPN doesn’t track or keep any logs of our users and their activities. 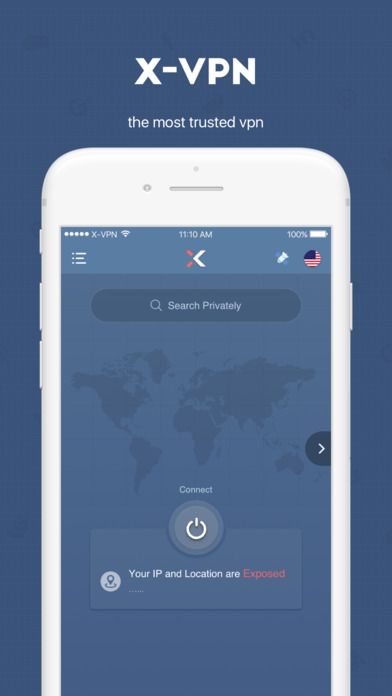 You could use X-VPN anytime anywhere to enjoy the best VPN proxy service. 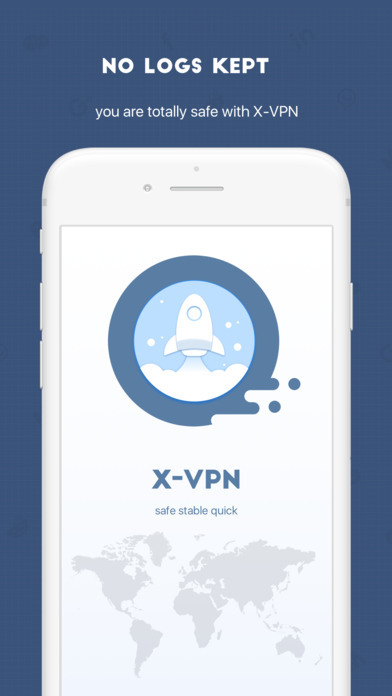 X-VPN is a service provided by TBU CO.,LIMITED. Our team focuses on VPN fields and aims to provide the best professional VPN proxy service for people around the world. We believe that technology makes life better and you make technology perfect. We hope that X-VPN is not just a VPN but a integrated security platform and we are sparing no effort to make this come true. What can you enjoy with a premium service?